Citrus Australia along with Fruit Juice Australia and juice manufacturers have formed an industry wide alliance to support the fruit juice and citrus industry in Australia. The first public education campaign will help explain the role of fruit juice with no added sugar in the diet, and counter some of the misinformation about juice. The campaign is research based and will provide credible and reliable information to help people make more informed choices about their drink choices. Research was conducted and analysed by independent third party CSIRO Food and Nutrition Flagship: the results are objective, fact based, and backed by Australia’s leading scientists. Robyn Lawley, international supermodel, mum and author is the consumer voice for the whole-of-industry campaign to demonstrate how fruit juice with no added sugar can make a positive contribution to the Australian diet. In fact – fruit juice can contribute to fruit intake, fill the nutrition gap and have a positive impact on diet quality. Forty per cent of Australian citrus is processed. Valencia’s are deliciously sweet and juicy, and a popular juicing variety. Historic trends show the production of Valencia’s to be slowly declining, therefore other orange varieties will be used for processing. Production of orange juice is forecast to rise slightly in 2010/20111 season. Retail prices for fresh juice sold on the domestic market are currently at historically high levels. 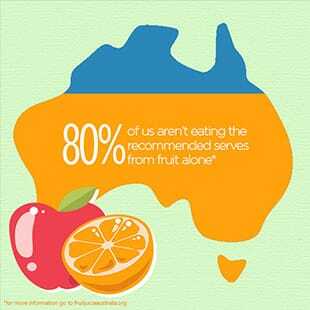 The ‘Aussie Grown, supported by Australian citrus growers’ campaign is an ongoing marketing initiative for domestic orange promotions. The focus of the campaign is to promote fresh (not from concentrate) Australian orange juice, and increase domestic sales and supply intake. Citrus Australia will promote the endorsement logo through a national Valencia public relations campaign which will include reference to the participating companies and or brands. Guidelines are set for logo use to ensure that products only contain fresh Australian juice and are a ‘Product of Australia’.